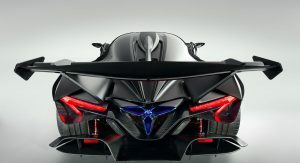 Apollo is proud of the fact that its other-worldly Intensa Emozione hypercar won’t be as easy to drive as some of its rivals. 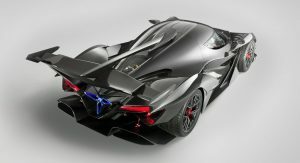 While speaking with Motor1 ahead of this weekend’s Goodwood Festival of Speed, Apollo Automobili general manager Ryan Berris said that the IE was designed from the outset to demand a certain level of skill from the driver. “Our favourite days were the GT1 days of the 1990s. We like a raw, scary kind of car that takes some skill to drive. 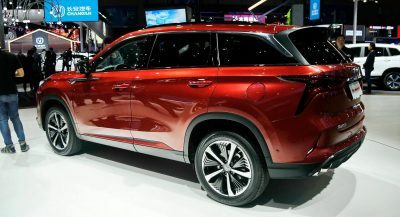 Cars now are becoming almost too capable – it dilutes the driving experience,” Berris said. Instead of opting for a velvet-smooth dual-clutch transmission, Apollo has opted for the a sequential racing ‘box. “The six-speed sequential gearbox is the same one you’d find in a Le Mans car – there’s a clutch to get in and out of first but then it’s straight up and down. We know it can take 24 hours of punishment, but it still takes skill to use,” Berris said. 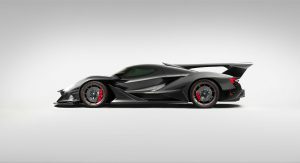 Additionally, the Apollo IE will use a naturally-aspirated 6.5-liter Italian V12 that’s free of any hybrid trickery. 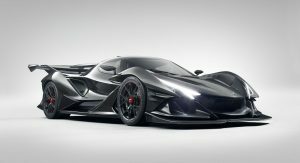 Apollo’s commitment to offering a pure driving experience isn’t all talk. 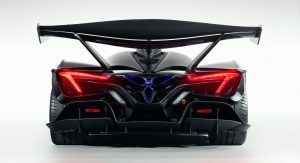 The carmaker recently confirmed that HWA, a spin-off firm from Mercedes-AMG, will be responsible for the final development of the Intensa Emozione. HWA has been responsible for much of Mercedes‘ motorsport activities in the last two decades and was the company that made the CLK GTR road-going monster. At least their cars look better. 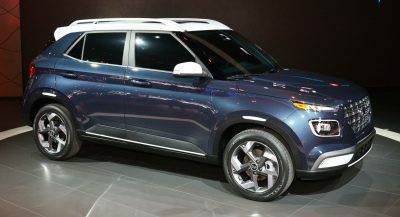 And although I do like an uncompromising vehicle that demands a certain amount of skill from the driver, you have to know that the people who buy these things will rarely, if ever, have the skill necessary to push them to their full potential. Now I get it. They watched a bunch of Cars & Coffee Mustang and Vette videos and said, “You know what? We can do better.” So they built a vehicle with a bunch of blades all over it, made it hard to drive, and unleashed it on the public. Get your camera phones ready people! Seriously though, I actually agree with him. Mostly about the chasing numbers part. 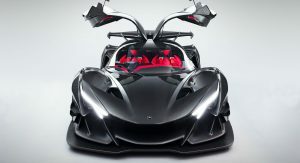 We are quickly approaching (no pun intended) an era where the fastest cars will be autonomous and electric. Does it really matter that they are the fastest? We will seriously have to ask ourselves the question, “Do you want to pay to be the fastest? Or do you want to pay to have fun?” The more of one you go after, the less you will have of the other. Their future paths are divergent. Personally, I’ll take RWD, a manual transmission, and a fat grin on my face all day long. Easy to drive is confidence inspiring. Which is never a bad thing.